Kyle is starting his path to electrical building design engineering, working as an intern at Allied Engineering. Wanting to further his career after wrestling at Penn State, Kyle came back to Oklahoma to earn a bachelor’s degree in electrical engineering. Kyle has proven to be successful on electrical design teams for a variety of project types including public schools, medical facilities, Industrial fabrication facilities, and military projects. 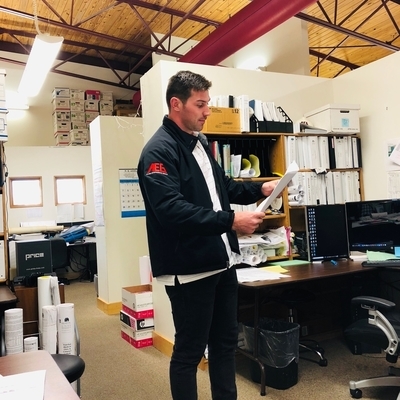 Kyle communicates well with contractors and has great insight on how to implement the customers wishes for the project at hand. 2019 – BSEE Electrical Engineering, Oklahoma State University, Stillwater, OK.